(Bloomberg) -- Discovery Inc.’s Chief Executive Officer David Zaslav is poised to reclaim a spot among America’s top-paid public-company bosses after the firm handed him a $129.4 million pay package for last year. 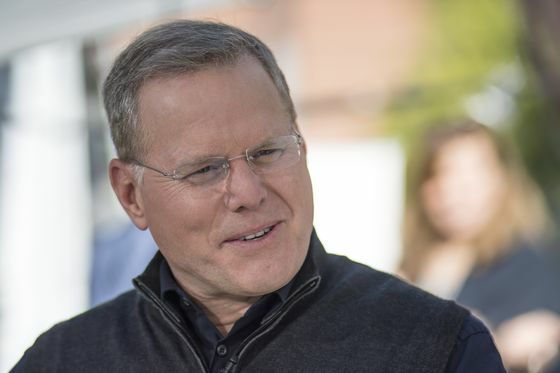 Zaslav received stock options valued at $102.1 million and about $14.8 million of restricted stock, according to a regulatory filing Friday from Silver Spring, Maryland-based Discovery. He also collected $3 million in salary and a $9 million bonus. The prior year he got $42.2 million. Zaslav, 59, has been among the best-paid executives in the media industry for years. He joined Discovery in 2007 from NBCUniversal and helped take the company public the following year. In 2014, he received a package valued at $156 million, most of which came from special awards tied to a contract extension. Since then, he’s pocketed more than $200 million, mainly from stock awards that have vested, according to data compiled by Bloomberg. He spent 2018 integrating the Scripps Networks Inc. acquisition and trying to turn Discovery into a global sports giant, including broadcasting the Winter Olympics to European viewers. Back home, its channels have been losing subscribers due to cable cord-cutting. Discovery’s flagship channel has recently seen its ratings fall sharply, causing a slowdown in ad sales growth. The bulk of his new options were granted as part of an extension of his employment contract that runs through 2023. They came with strike prices ranging from $27.35 to $33.24. Discovery shares closed at $26.67 on Friday in New York. The stock has risen 7.8 percent this year, trailing the 12 percent increase in the S&P 500. It’s far from clear how much he’ll end up reaping from his new grant of options. Discovery’s share price has slid more than one-third over the past five years. As a result, the options he received as part of his 2014 package, which had an estimated value of about $50 million when they were granted, expired worthless. His latest contract has other lucrative provisions, including annual bonuses with $22 million target payouts. His $3 million salary is among the highest awarded to CEOs of S&P 500 companies.